Tracking and protection of vehicles of private clients, management of company fleets, shipping agencies, roadside assistance, logistics, taxi companies, courier companies, agricultural equipment, road construction equipment and many more. All of them can track in real time or receive as an archive detailed references on the activity of their companies, including detailed information of all violations and infringements during working hours, fuel, delivery schedule, site visits, etc. In addition, the software module can be used for service intervals and replacement of spare parts (upcoming technical inspections, insurance instalments, replacement of oil, filters, lining, tires and all spare parts) with an option to input their cost in BGN and the respective references on them. The GPS tracking devices, installed in vehicles, receive coordinates, speed and a lot of other data and transfer them via the mobile phone network to your monitor. 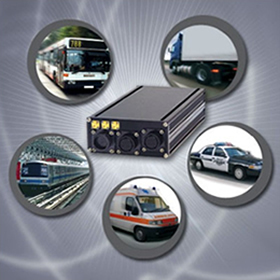 The devices are perfect to apply in tracking trucks, buses, light vehicles, minibuses, boats, etc.